We’ve all stayed in hotels and whether they’re luxury hotels or the Motel 6, they tend to be all cut from the same cloth. What I’ve found here are a slew of hotels that definitely throw that cloth right out one of their windows made of ice, sand, and mirrors. You can book these & many other hotels directly on the Accor website. 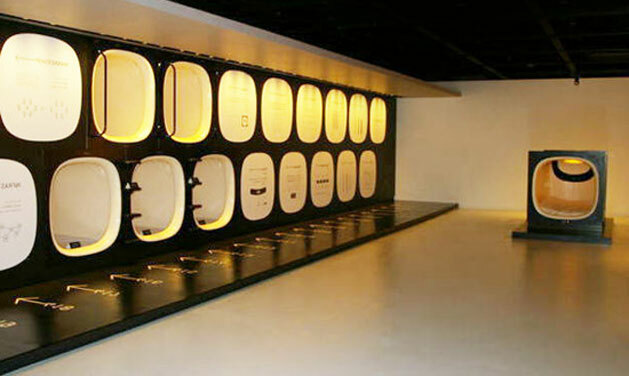 In 1979, the very first capsule hotel opened in Osaka and it’s become a commonplace concept in Japan ever since, catering to business travelers of all kinds. If you’re unfamiliar with capsule hotels, they’re simple cheap lodgings that essentially only provide an enclosed bed. Sounds delightful, doesn’t it? So, what’s so weird about this hotel? It’s all in the name – 9 hours is exactly how long you have to get in, sleep, and get back out again. They’re actually quite strict about their time table providing an hour to shower, 7 hours for sleeping, and one last hour to prepare for check out. Additional amenities include: computer lounge, locker rooms, and lobby. 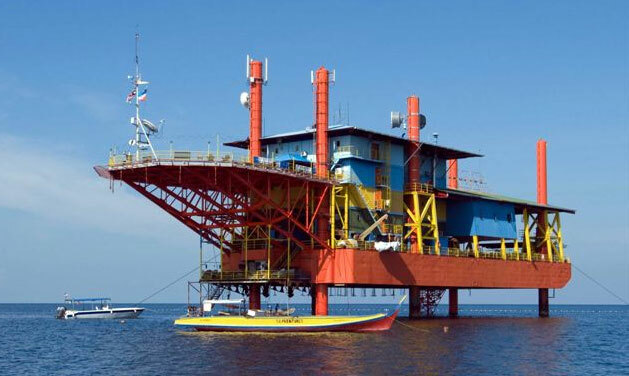 An ecofriendly, completely immersive, resort on board an… oil rig? No way! Believe it, or not, this floating resort did used to be an oil rig, but now instead of harming underwater life, it harbors and protects it — all while allowing the inhabitants of the hotel to swim and interact with all manner of gorgeous sea creatures. Once upon a time, this 5-star hotel was exactly what the name suggests – an airplane! To be exact, it was a government-owned Ilyushin 18 aircraft that was once used to transport former East German officials – such as Hans Honecker. From a bed-side window-seat, guests can watch planes arrive and depart from Teuge from their lap of luxury – nice and safe on the ground. 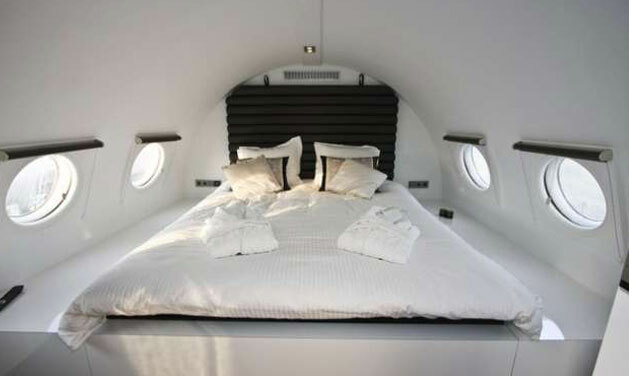 It’s all the first class amenities and then some without ever having to fly. 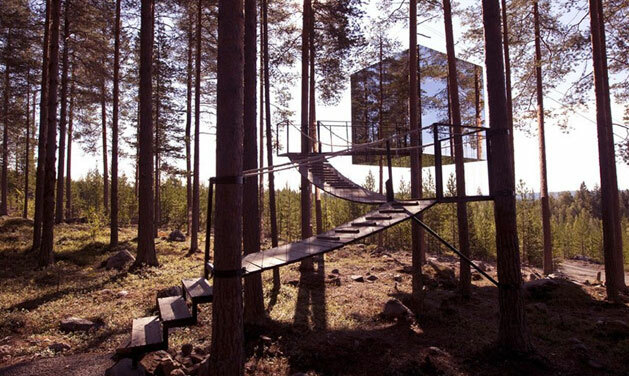 The Mirrorcube is actually part of a bigger concept within Sweden’s Tree Hotel – as you can probably imagine, all of the hotel’s units are suspended up in the tree canopies! One of the weirdest units is the Mirrorcube – a very lightweight 4x4x4 meter box made entirely of aluminum and one-way mirrors. Amenities don’t include much for such a small space, but it does provide the hotel basics, plus a roof-top terrace and a rope bridge to enter the unit with connected to a nearby tree. An interesting fact about the Mirrorcube is that it’s very environmentally friendly – since it’s made of mirrors and resides up in the trees, ultra-violet coloring is embedded into the glass that is visible only to birds to keep them from flying into it.